You know that your services or products are great, why not share that information? Aimed towards a previous customer, remind them the good you did in the past, and let them how you can help in the present, and even future. 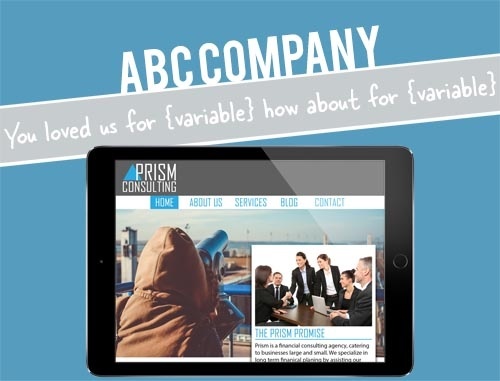 Featuring their website on the tablet, along with the company name, this mailer will help the recipient want to come back running to your company.